7404 SW 93 Avenue Gainesville, FL. 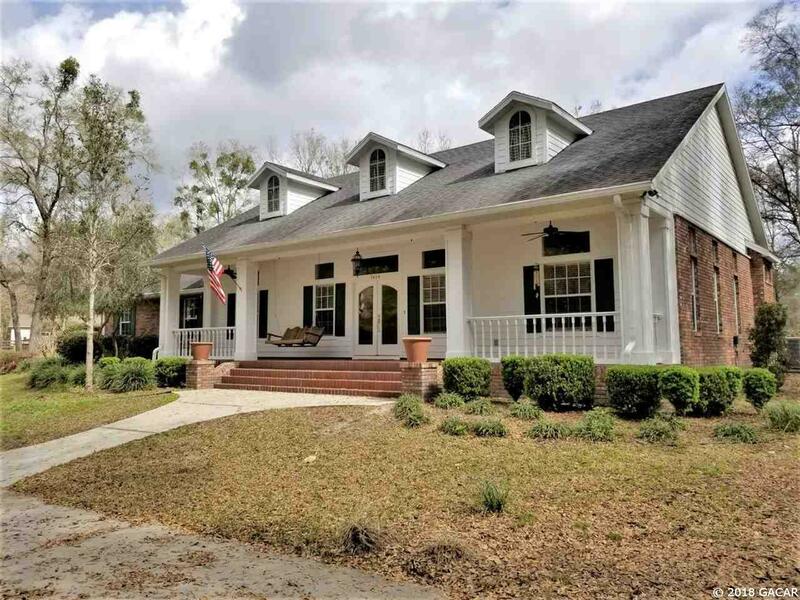 | MLS# 412354 | Gainesville FL Realtors & Property Managers. EXIT Realty Producers. CLOSE IN COUNTRY! Welcome to Farms of Kanapaha. Just minutes away from Shands, UF and VA and you can have your horses with you, or just enjoy the serenity. This special home features 3BR/2BA 2,900&apos; heated & cooled home. Beautiful rocking chair front porch, spit bedroom plan, living room with fireplace, separate dining room and breakfast nook, spacious master suite with beautiful soaking tub and large walk in closets. Enjoy the serene Florida room overlooking private the 4.37 acres. Property has an electronic gate and is fully fenced - horse ready with stable, and a covered area for your motorhome, too.